The chair of the Senate Committee on Government Operations said Wednesday she's not so sure Vermont should amend its constitution to limit the legislature's role in selecting statewide officeholders. "We are more seriously looking at whether we need to have a change," Sen. Jeanette White (D-Windham) said. "I think a number of people automatically assumed that we had to have a change, but now we're looking at: Do we need to have a change?" 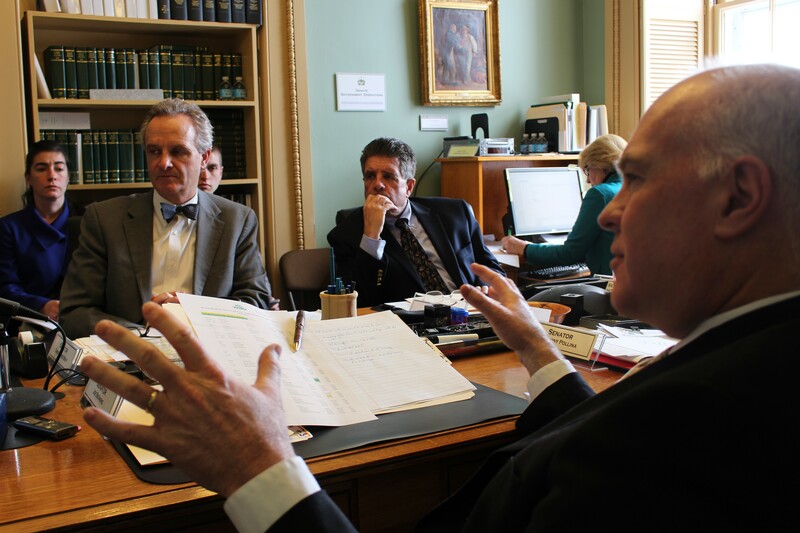 White's comments came after her committee finished its third hearing on a pair of proposals that would alter the way Vermont elects its governor, lieutenant governor and treasurer. The subject drew renewed attention in the months after last November's unusually close gubernatorial election. Though Democratic incumbent Peter Shumlin garnered 2,434 more votes than Republican Scott Milne, neither candidate cleared the 50 percent threshold necessary to win the governorship. That thrust the decision into the hands of the legislature, which voted 110 to 69 for Shumlin last month in a secret ballot. In the wake of January's election, Sen. Joe Benning (R-Caledonia) introduced a constitutional amendment calling for a runoff election between the top two vote-getters if no candidate for governor, lieutenant governor or treasurer won an outright majority. Such a runoff would take place on the first Tuesday in December. Sens. Anthony Pollina (P/D-Washington) and Kevin Mullin (R-Rutland) introduced a similar measure that would mandate a runoff if no candidate won more than 45 percent of the vote. 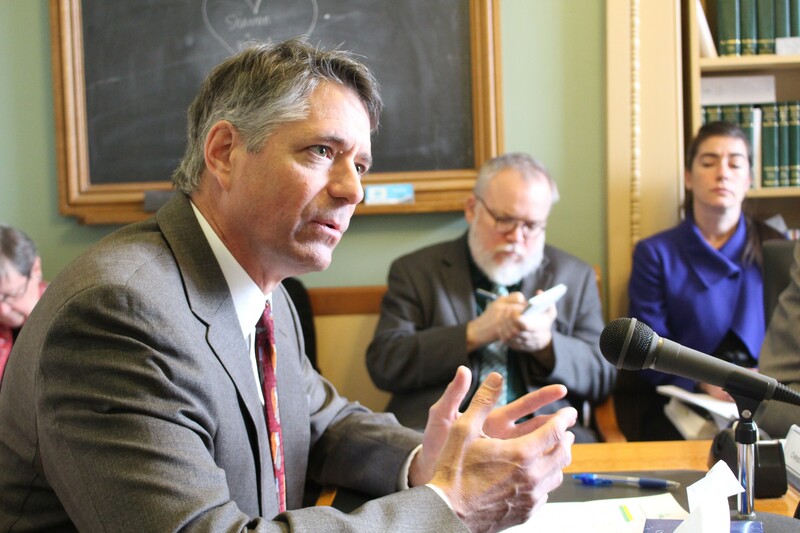 At Wednesday's hearing, Vermont Public Interest Research Group executive director Paul Burns called the state's existing electoral laws "undemocratic" and "unnecessary in this day and age." "VPIRG's position is that the top offices in Vermont should not be decided by the legislature," Burns told committee members. "It's important from our perspective and from basic democratic perspective — small 'd' democratic perspective — that the people are the ones who shall choose, who should choose who represents them in the Statehouse." Burns said his group has not endorsed a specific proposal and would be open to any number of new approaches. One possibility, he said, would be to eliminate the legislature's role in the process by constitutional amendment, but to leave it to a future legislature to determine precisely what system would replace it. No matter the threshold, Burns argued, runoff elections would likely be rare events. In the 63 elections for the three top offices since 1974, he said, only twice has the victor won less than 45 percent of the vote: the 2002 races for governor and lieutenant governor. Only 10 times has the victor won less than 50 percent of the vote. Though Benning himself has introduced a constitutional amendment to do away with the current system, the Republican minority leader indicated Wednesday that he was having some second thoughts. He pushed back against Burns' assessment that the present system is undemocratic, given that duly elected legislators are the ones making the choice. Benning also said he was concerned about the $300,000 cost of administering a runoff election. After the hearing, White said she remained "confused" about her own position. "Part of me says it's fine just the way it is," she said. "It seems to work. People are elected."